Alabama Rot is a condition affecting dogs which has been seen for many years in the USA, with a few reported cases in the UK since 2012. The condition causes skin lesions and, in some dogs, kidney failure. Currently the cause of the condition is unknown. Alabama Rot, named after the location it was first seen, is correctly called cutaneous and renal glomerular vasculopathy (CRGV). This means it is a disease of small blood vessels in the skin and kidneys. In CRGV, tiny blood clots form which block blood vessels causing damage to tissues. The primary clinical sign is one or more skin lesions. Most commonly found on the lower limbs, lesions are occasionally seen on the body, face or mouth. Lesions may be swollen, red or ulcerated and can look like any other bite or cut. It can be very difficult to tell if a skin lesion is truly an early sign of CRGV as there is no test for it; however some dogs will only ever have skin lesions and will recover quickly. Blood tests can confirm damage to the kidneys, which often leads to rapid kidney failure. Treatment can be attempted, such as intra-venous fluid therapy and supportive care, but severe kidney damage is often fatal as the damaged tissue can’t be repaired. 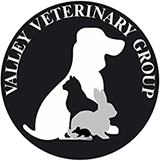 CRGV can affect dogs of any age, size or breed. Cases are still rare, though those reported seem to be mostly in the winter and spring months, with fewer confirmed or suspected cases through the summer. More cases have been reported in the south of England, especially around the New Forest. Currently the cause is unknown, although research is being done. Alabama Rot in America is thought to be caused by a toxin produced by E. coli bacteria; however UK vets have been unable to prove this theory. There is a suggestion that the disease could be contracted from muddy woodland. This hasn’t been proven, but it’s advisable to wash woodland mud off your dog’s legs and feet after each walk. Although it is a very serious condition, Alabama rot remains an extremely rare disease, with less than 60 cases being confirmed between 2012 and 2015. If you have any concerns about your dog’s health, please consult your local vet.